If you received a call about a boating incident that occurred on a lake, river, stream or in the ocean – would you know what laws apply? Do the same laws apply regardless of where the incident occurred? Does the status of the victim as a passenger, operator, employee or agent matter? Does the status of the defendant have any significance to the liability claims? Are the laws the same if it is an injury case or a death case? What are the common defenses? These are but a few of the questions that need to be answered prior to taking on a boating incident case. In general, many boating incidents are covered by admiralty/maritime law. That being said, some are not. What is “admiralty/maritime law”? “Admiralty law or maritime law is a distinct body of law that governs maritime questions and offenses. It is a body of both domestic law governing maritime activities, and private international law governing the relationships between private entities that operate vessels on the oceans. It deals with matters including marine commerce, marine navigation, marine salvaging, shipping, sailors, and the transportation of passengers and goods by sea. Admiralty law also covers many commercial activities, although land based or occurring wholly on land, that are maritime in character.” (Wikipedia.) That being said, admiralty law is a complex and expansive area or law considered by many to be one of the most confusing areas of law on the planet. “[i]t is now settled that ‘The general rules of the maritime law apply whether the proceeding be instituted in an admiralty or common law court.’ . . . and that the state courts must preserve all substantial admiralty rights of the litigants. . . . A state court having the same jurisdiction over a case that a federal court would have if the suit had been brought there, must determine the rights of the parties under the maritime law as a ‘system of law coextensive with, and operating uniformly in, the whole country.’ . . . State law is inapplicable to a maritime cause ‘if it contravenes the essential purpose expressed by an act of Congress, or works material prejudice to the characteristic features of the general maritime law or interferes with the proper harmony and uniformity of that law in its international and interstate relations. [B]eginning early in this century … courts limited states’ power to regulate maritime activities on the ground that the United States Constitution requires uniformity in admiralty law. Article III, Section 2 of the Constitution provides in part that the judicial power of the United States shall extend “to all cases of admiralty and maritime jurisdiction.” The Supreme Court has held that this provision, by implication, grants Congress the power to revise and supplement the maritime law, and grants federal courts power to develop the general maritime law. Those rivers must be regarded as public navigable rivers in law which are navigable in fact. And they are navigable in fact when they are used, or are susceptible of being used, in their ordinary condition, as highways for commerce, over which trade and travel are or may be conducted in the customary modes of trade and travel on water. And they constitute navigable waters … when they form in their ordinary condition, by themselves, or by uniting with other waters, a continued highway over which commerce is or may be carried on with other States or foreign countries in the customary modes in which such commerce is conducted by water. [T]he true test of the navigability of a stream does not depend on the mode by which commerce is, or may be, conducted, nor the difficulties attending navigation. If this were so, the public would be deprived of the use of many of the large rivers of the country over which rafts of lumber of great value are constantly taken to market. It would be a narrow rule to hold that in this country, unless a river was capable of being navigated by steam or sail vessels, it could not be treated as a public highway. The capability of use by the public for purposes of transportation and commerce affords the true criterion of the navigability of a river, rather than the extent and manner of that use. If it be capable in its natural state of being used for purposes of commerce, no matter in what mode the commerce may be conducted, it is navigable in fact, and becomes in law a public river or highway. To appraise the evidence of navigability on the natural condition only of the waterway is erroneous. Its availability for navigation must also be considered. ‘Natural or ordinary conditions’ refers to volume of water, the gradients and the regularity of the flow. A waterway, otherwise suitable for navigation, is not barred from that classification merely because artificial aids must make the highway suitable for use before commercial navigation may be undertaken. After considering the past and present uses and conditions of Clear Lake, the court finds that Clear Lake is not navigable water. Although past activities and conditions of Clear Lake indicate the presence of previous interstate commerce, the activities and condition of Clear Lake now and at the time of the subject accident are and were non-commercial and intrastate. Indeed, the condition and location of the lake do not make it susceptible to interstate commerce in the future. Therefore, this Court holds that Clear Lake is not part of the navigable waters of the United States and thus, this court has no admiralty jurisdiction over plaintiff’s claim. Rivers are public navigable waterways if they are used or suspected of being used in their ordinary condition as highways for commerce over which travel can be conducted. 46 U.S.C. § 30101. The Ninth Circuit holds that the location or “situs” test is satisfied when the injury occurs on or over navigable waters. Taghadomi v. United States, 401 F.3d 1080 (9th Cir. 2005). Fred Walton suffered his injury in the Sacramento River, a navigable waterway, where he drowned. Therefore, the location test is satisfied in this case. The case of Consolidated Hydro, Inc. v. F.E.R.C., 968 F.2d 1258 (D.C. Cir. 1992) is instructive. In Consolidated Hydro, the D.C. Circuit, quoting the Supreme Court, held that “[t]here has never been doubt that the navigability referred to in [past] cases was navigability despite the obstruction of falls, rapids, sand bars, carries or shifting currents.” (Id., at pp. 1259-60, emphasis in originals and added.) At issue in that case was the navigability of the Damariscotta Lake and its connected waterways, including a series of streams flowing out of the lake. In particular, along the waterways was a hydroelectric project, consisting of a dam, powerhouse and penstock. … Damariscotta Lake is located in the northwest corner of the first map. After flowing onto a small pond, the water divides into three streams as it moves past two small islands. The Damariscotta Mills hydroelectric project (“Project”) is located on the Old Stream, the largest, westernmost of these. The three streams merge into the Damariscotta River, which flows into the Great Salt Bay and the south from the bay to the Atlantic Ocean … The Project was constructed prior to 1923 on the site of a former sawmill. It consists primarily of a dam, powerhouse, and penstock, and rates 500 kilowatts of power […]. Consolidated Hydro noted, however, that the presence of the “dam, powerhouse, and penstock,” presented no impediment to navigation. Vessels could simply engage in minor portage around the hydroelectric project. …[t]he Navigability Report records a canoe race sponsored in 1973 … The race spanned the length of the Damariscotta Lake and continued south through the Great Salt Bay to a point on the river between two communities. A portage of one hundred yards around the [hydroelectric] Project site itself was all that was required to complete the journey. In The Admiral Peoples, (1935) 295 U.S. 649, 652, a steamship passenger was disembarking via a negligently maintained gangplank when she stumbled and was “forcibly thrown forward upon the dock in such manner as to cause injuries.” Admiralty jurisdiction existed because the Plaintiff was on the ship when the cause of action arose from the defendant’s breach of duty and injury somewhere was inevitable. The opinion held that this result was supported by the weight of authority in the federal courts, and cited in particular to The Strabo, 98 F. 998 (2d Cir. 1900). In this case it is highly probable that the libelant sustained some damage from nervous shock while precipitated through the air, and before he fell upon the wharf. A person of sensitive nervous organization would, without doubt, receive such an injury. The injury commenced when, by the slipping of the ladder, the libelant was thrown into the air. Whether or not this throw was damnum absque injuria cannot be told, but it is true, as the district judge said, that the whole wrongful agency was put in motion and took effect on the ship, and thereby the libelant was hurled from his position on the ship, and before he reached the dock was subjected to conditions inevitably resulting in physical injury, wherever he finally struck. The cause of action originated and the injury had commenced on the ship, the consummation somewhere being inevitable. It is not of vital importance to the admiralty jurisdiction whether the injury culminated on the string piece of the wharf or in the water. (Id. at 1000, emphasis added). The law of admiralty has evolved over many centuries, designed and molded to handle problems of vessels relegated to ply the waterways of the world, beyond whose shores they cannot go. That law deals with navigational rules – rules that govern the manner and direction those vessels may rightly move upon the waters. When a collision occurs or a ship founders at sea, the law of admiralty looks to those rules to determine fault, liability, and all other questions that may arise from such a catastrophe. Through long experience, the law of the sea knows how to determine whether a particular ship is seaworthy, and it knows the nature of maintenance and cure. It is concerned with maritime liens, the general average, captures and prizes, limitation of liability, cargo damage, and claims for salvage. Admiralty law gets more complex as you dive deeper into its waters. There are countless additional laws which need to be navigated, such as the Jones Act, 46 U.S.C. section 30104, the Death on the High Seas Act, 46 U.S.C. section 30302 (“DOSHA”), the Longshoremen’s and Harbor Workers’ Compensation Act (“LHWCA”), 33 U.S.C. section 903, et seq., and a labyrinth of common law principles such as General Maritime law and Moragne actions, to name a few. All of these areas of admiralty law are worthy of individual treatises and papers. 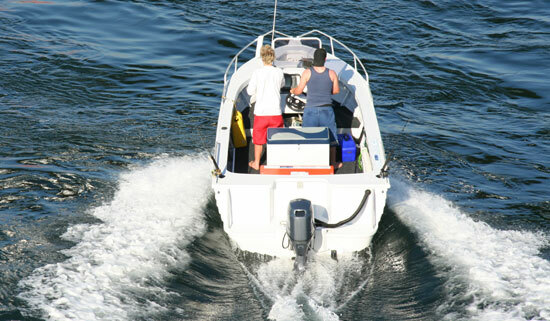 If you are looking into a boating incident case, or any other case involving an incident at, near or related to a body of water – take a step back, study the law and most importantly, proceed through the opaque body of law with caution. Anchors Away! 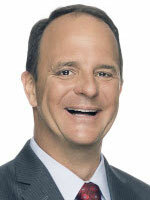 Stuart Fraenkel is the co-managing partner at Nelson & Fraenkel LLP. He handles high profile, complex matters. He has a broad range of experience in civil litigation, including aviation, products liability, automobile, trucking, crashworthiness, personal injury, wrongful death, insurance, insurance bad faith, admiralty/maritime, premises, business litigation and entertainment. His litigation experience has involved matters throughout the United States (including Alaska and Hawaii), Asia, Australia, Canada, Central America, Europe, Mexico, the Middle East and South America. Mr. Fraenkel is well versed in national and international conflicts and choice of law issues.